Round Fly Cutter Set, 3 pc. Grizzly H7537 - Round Fly Cutter Set, 3 pc. 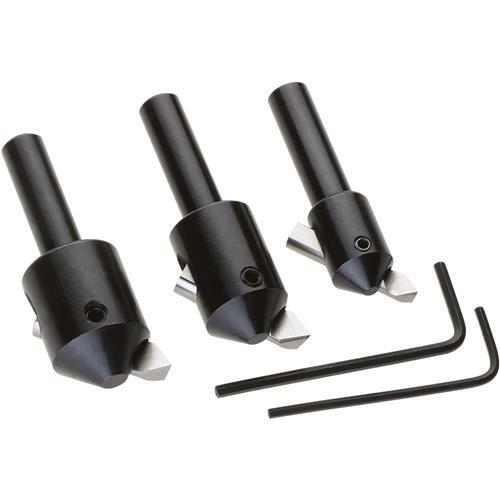 This 3-piece set of Roundhead Fly Cutters is designed to take light cuts, machining flat surfaces and counterboring. Ideal for machining in tight or difficult situations, each fly cutter has a 3/8" shank and includes an adjustable tool bit. This Fly Cutter is good enough for work in my home shop. Definitely worth the price.